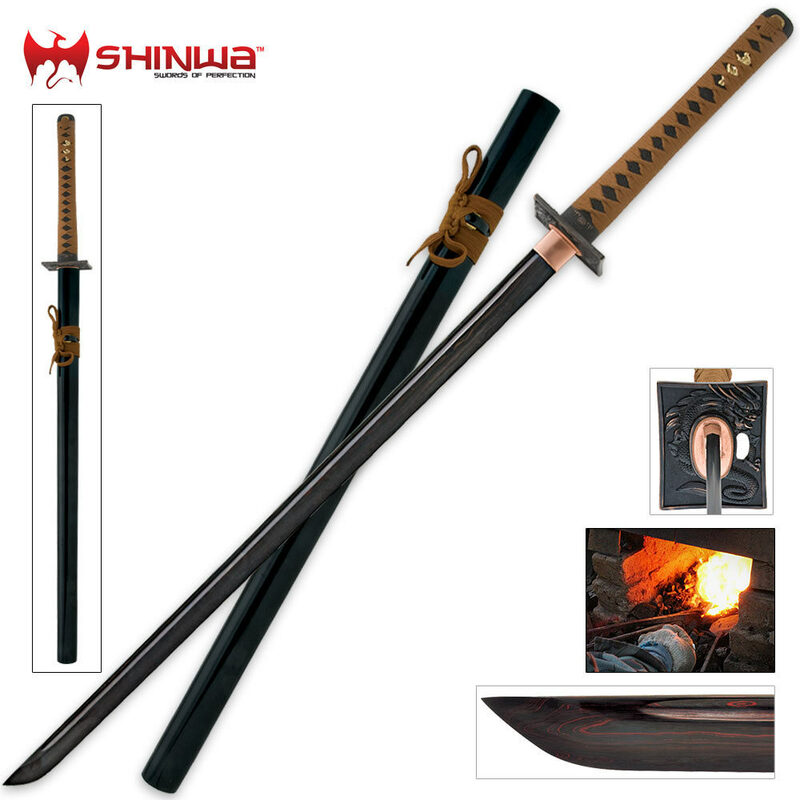 Shinwa Black Knight Samurai Sword Damascus Steel | BUDK.com - Knives & Swords At The Lowest Prices! The Shinwa Black Knight Katana offers a 28 1/8" blade of elegant Black Damascus steel that has been folded to deliver more than 2,000 layers of outstanding cutting power. 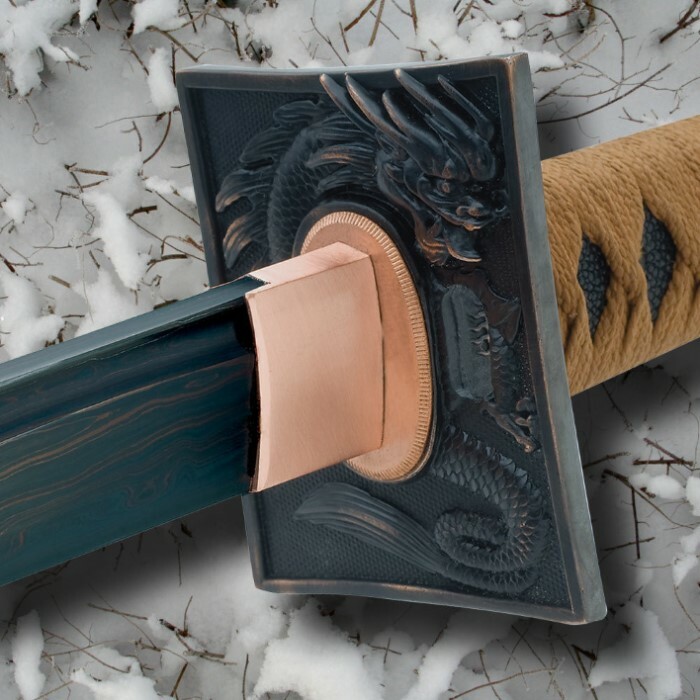 Measuring 40 1/8" overall, this sword features a hardwood handle that has been covered with ray skin and then traditionally wrapped in brown nylon cording.